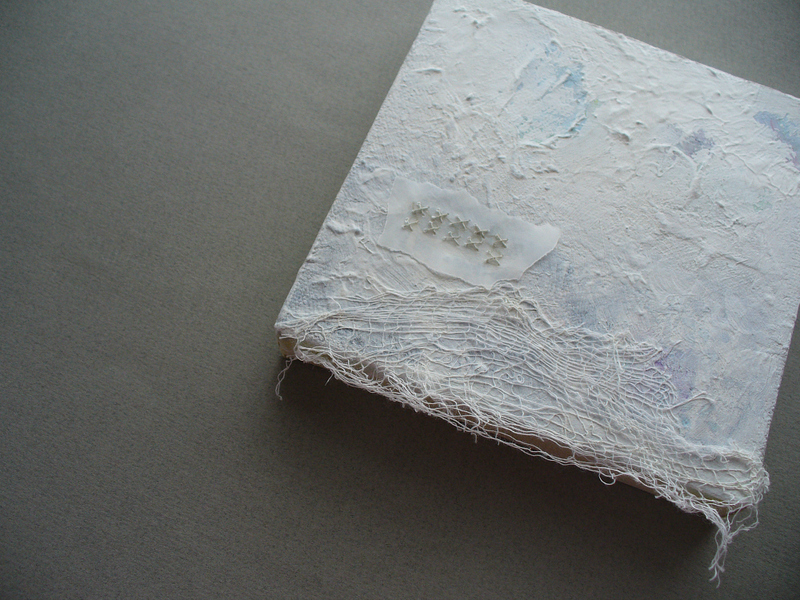 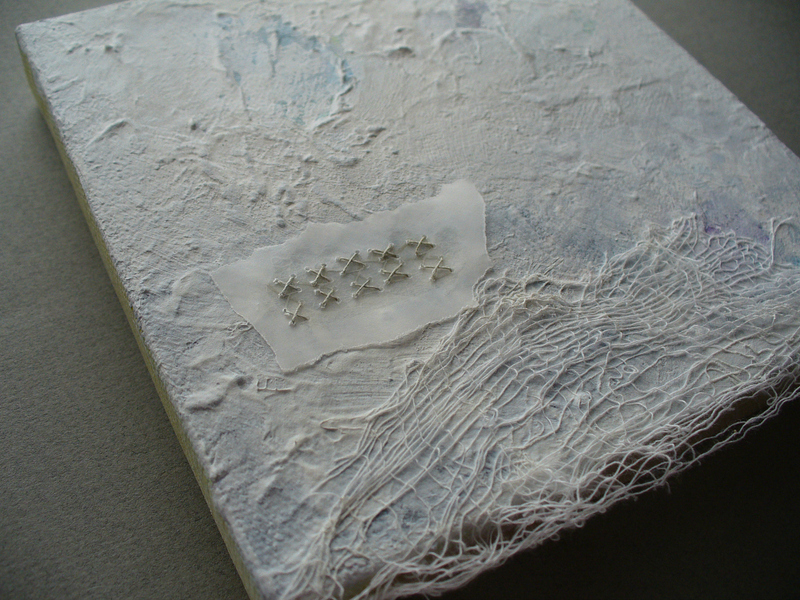 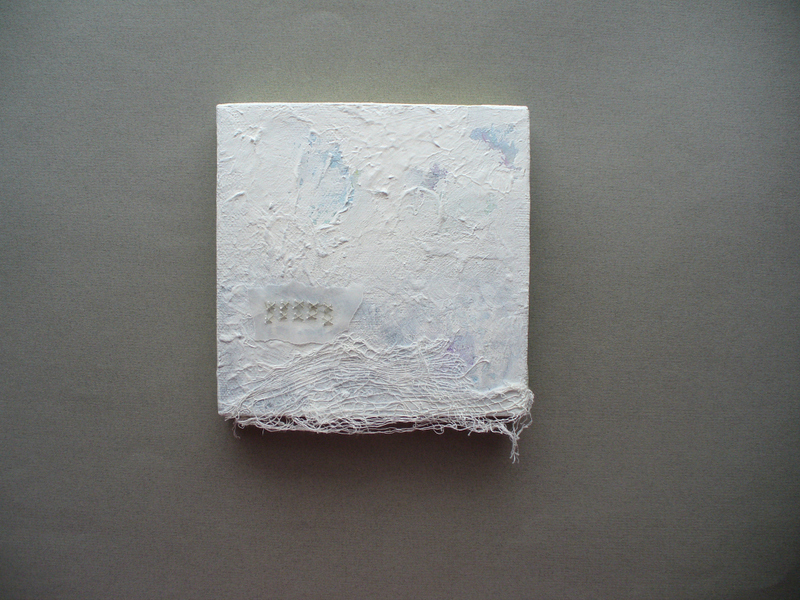 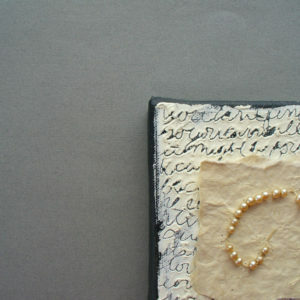 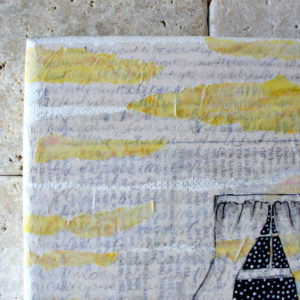 A heavily textured canvas has been layered with paint, paper and bits of fabric. 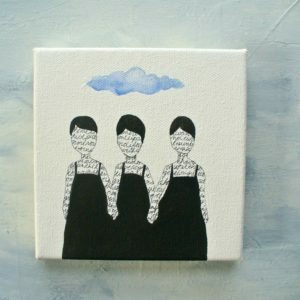 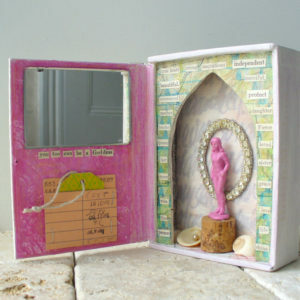 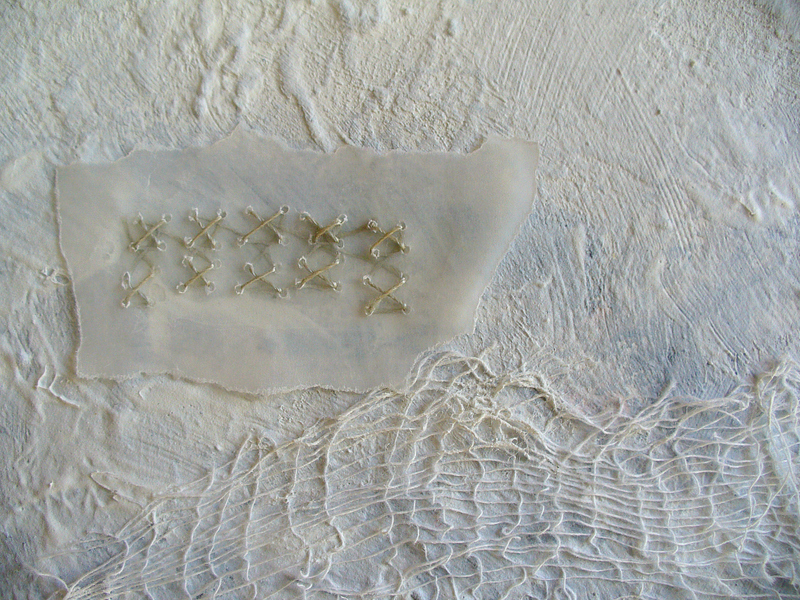 a piece of cross stitched vellum is also added. This white painting has soft undertones of blue, purple and gray which invite you to look closer.